These are the areas I specialize in and are the things I enjoy doing the most. If you need help with something not listed here, please feel free to reach out! If I'm not the best person for the job, I have several other local companies I'd be happy to refer you to. Some websites are old, some websites are new, I can do either if you'd like me to! Whether designing anew or updating the old, I will ensure you have a user-friendly, mobile-responsive website with a focus on SEO. Designing secure, search engine-optimized, mobile-responsive WordPress websites. I have a knack for turning big globs of content into meaningful, inviting, attractive websites. I mean seriously, I made a website about poop that looks amazing. Don't let a small budget hold you back! Made your own site on Wix or Squarespace? Have an older WordPress site that needs some love? I'd love to give your website a makeover TLC-style! Consider me the "What Not to Wear" of websites. In addition to a face lift, I'll make sure it's secure and technically sound too. For those who have a website but don't know how to use it. I offer 1-on-1 training on how to maintain your website, make changes to your content, add new pages, or connect to MailChimp. Learn how to take the reigns, perform updates and security checks, and use your website to its fullest potential! Are you starting to look a little retro, and not in a good way? Website getting a little laggy? Time for a redesign! A bad website can be worse for your business than no website at all. Your website is your first handshake; make sure it's not covered in ketchup. A good user experience isn’t just about good design - it includes speed, reliability, security, and functionality. Websites maintained by The Helpful Marketer get treated better than Arthur Fonzarelli's hair. Do you want potential customers to find you online? If you don't already have all the customers you'll ever need, then your site should be optimized for search engines. No matter your budget, we can implement a strategy to give your site a boost. Some websites are old, some websites are new, I can do either if you'd like me to! Whether designing anew or updating the old, I will ensure you have a user-friendly, mobile-responsive website with a focus on SEO. Working primarily with small, local businesses, I specialize in the most practical marketing services. I work to empower small business owners to help themselves. We start with the basics; the most fundamental pieces and those with the biggest bang for the buck. One of the most fundamental basics and the most imperative for SEO, especially for local search results. I will assist you with getting your Google My Business listing verified and optimized. Designing traditional marketing pieces - catalogs, brochures, sell sheets - the printed marketing collateral that gets into the hands of customers and keeps your front-of-mind. Unattractive, boring, or confusing marketing materials will go straight into the trash. In 2019, I'm a firm believer that social media should be done in-house. I can, however, assist with getting your social media accounts set up, optimizing profiles, creating graphics, and provide recommendations for improvements. I offer 1-on-1 training on many areas of marketing and related technologies. Individualized training can include topics like how to use MailChimp, Google Analytics, or IMAP email, or how to use related apps on your smartphone. Don't be afraid of sounding "dumb"! This is a judgment-free zone! If you have no idea where to even start, start with a consultation. If you’re ready to take your business to the next level then allow me to do a comprehensive review of your current marketing efforts and your online presence. I’ll provide you with my recommendations along with valuable tips on things you can do yourself to attract more customers. Loyal, repeat customers, "regulars", brand advocates - these guys are worth their weight in gold. Treat them as such! Increasing customer retention by 5% increases profits by 25% to 95%. I consider myself a Customer Satisfaction Guru; let me provide you with a retention marketing strategy to start increasin' them there profits! Yee-haw! Working primarily with small, local businesses, I specialize in the most practical marketing services. I help empower small business owners to help themselves. We start with the basics; the most fundamental pieces and those with the biggest bang for the buck. I got a new website! 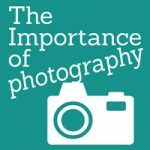 Photography has a major effect on how customers view you or your products – do you look reputable, trustworthy, and professional? To get a notification via text message when someone fills out a contact form on your website, you DO NOT need a plugin or PHP or Zapier. You just your cell number! The Helpful Marketer, owned and operated by Abby Lehman Buzon, is a Web Design & Marketing Agency located in Lodi, Ohio (out in the countryside of Medina County, between Cleveland and Akron) and operates in Brunswick, Ohio on Tuesdays and Thursdays.